The end of 2018 is near, and we at Team Real Estate have a lot to be grateful for this year. We’ve had a lot of success in 2018, and you have certainly helped us get there by choosing us to be your KC Realtors. We want to let you know that we’re thankful for you, our clients. There’s a lot of Realtors out there in Kansas City, and we are honored that you’ve chosen Team RE to help you buy or sell your home. Entrusting us to help you make one of the biggest decisions you will make in your life means the world to us. From all of us at Team RE, a sincere thank you to all of our wonderful clients! We appreciate your positive reviews and referrals – please keep them coming! Thank you for making us the No. 1 real estate team in Kansas and the No. 9 real estate team nationally, according to the Wall Street Journal! If you’re considering buying or selling a home next year, the first step is finding an experienced real estate agent who will be on your side throughout the process. 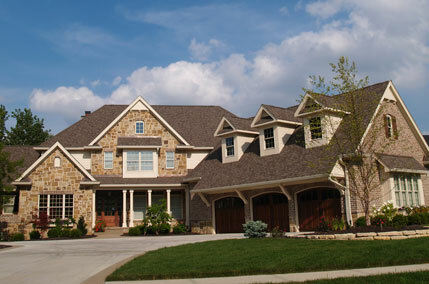 We’d love to be your KC Realtor, and we’ll work hard for you and always give you our expert advice. We’re always on top of trends and data so we can help our clients make the best decisions. For example, the Kansas City-metro housing market is expected to remain tight, resulting in an 8 percent increase in home prices, according to a the 2019 Kansas Housing Forecast, published by the Wichita State University Center for Real Estate. If you’re planning to buy or sell next year, let’s get started. Please visit us at www.teamre.com or call our team, 913.451.5711. We’re always happy to offer advice and help you get started, and as your KC Realtors, we’ll offer the best client-centered experience in the KC area!